A little duckling was very sad because he thought he was the ugliest amongst all his brothers and sisters. They would not play with him and teased the poor ugly duckling. One day, he saw his reflection in the water and cried, “Nobody likes me. I am so ugly.” He decided to leave home and went far away into the woods. Deep in the forest, he saw a cottage in which there lived an old woman, her hen, and her cat. The duckling stayed with them for some time but he was unhappy there and soon left. When winter set in the poor duckling almost froze to death. A peasant took him home to his wife and children. The poor duckling was terrified of the children and escaped. 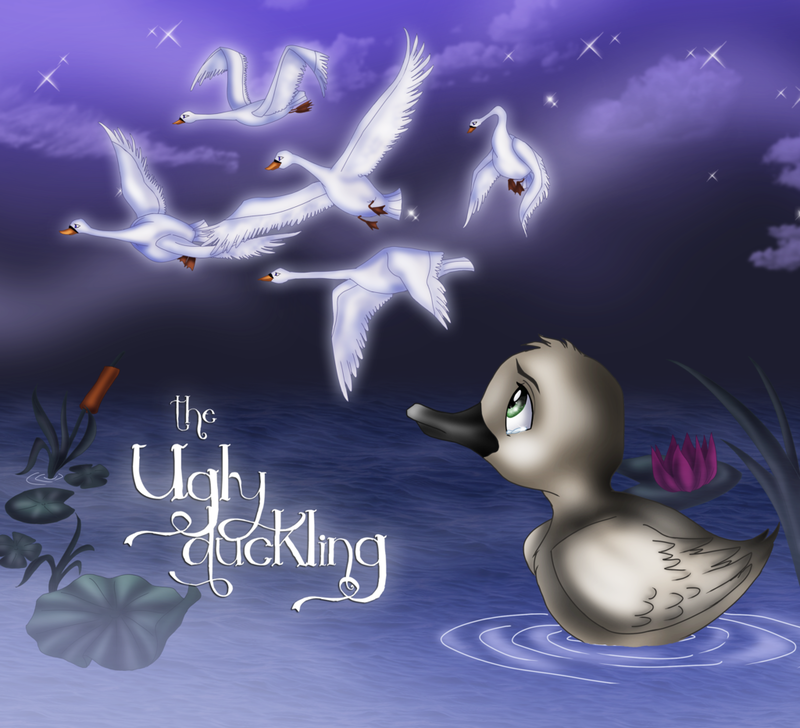 The ugly duckling spent the winter in a marshy pond. Finally, spring arrived. One day, the duckling saw a beautiful swan swimming in the pond and fell in love with her. But then he remembered how everyone made fun of him and he bent his head down in shame. When he saw his own reflection in the water he was astonished. He was not an ugly duckling anymore, but a handsome young swan! Now, he knew why he had looked so different from his brothers and sisters. “They were ducklings but I was a baby swan!” he said to himself. He married the beautiful swan and lived happily ever after. Moral lesson from The Ugly Duckling story is Do not feel inferior if you are different from others because everyone is not created equal. Every people was created by God with the advantages and disadvantages of each.